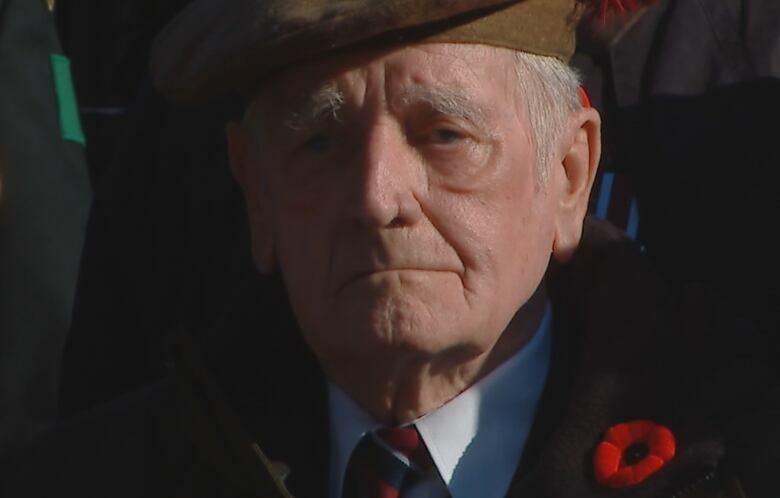 Year after year, the number of World War II veterans who are able to attend Remembrance Day services across the country shrinks. But for some, like 94-year-old Blanche Bennett, memories from the war are still vivid. Bennett was among the more than 1 million Canadians who served in World War II. As of March 31, just 61,300 of those veterans were still alive, with an average age of 92 years. "They make such a big fuss when they see me sitting with my medals. They say, 'Oh my God those medals are beautiful' and they say, 'Were you in the war?'" She tells them she was. 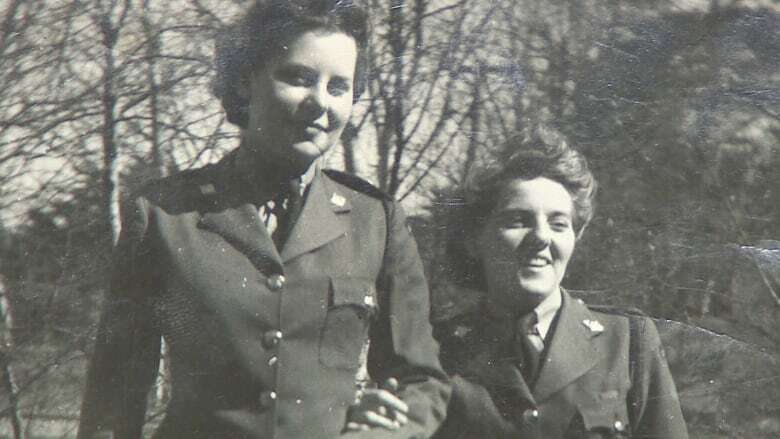 Bennett closes her eyes and vividly remembers joining the Women's Army Corp. in Summerside, P.E.I., at the age of 19 and being posted to Halifax as a telephone operator. It was her first time off the island and it was a big deal, she says from her current home in Cornwall, P.E.I. The operators had direct lines to every outpost in and around Halifax. Her job was to connect calls between military personnel. "All the places were manned with guns facing the ocean. They were all on our switchboard," Bennett says. "It was a military switchboard. The number was 319181. Still remember that." As Nazi U-boats prowled East Coast waters, Bennett and the other women had to connect important calls and keep top military secrets. On April 16, 1945, the German submarine U-190 torpedoed and sunk the Royal Canadian Navy's HMCS Esquimalt as it was conducting a routine patrol of Halifax harbour. Forty-four men died. "Because we were so young, my gosh dear, you know we had no idea of what was really going on." Bennett was one of 16 women stationed there during the war and she can still remember all of the operators' names. They all kept in touch after the war, many attending Bennett's 80th birthday years ago. But Bennett has outlived them all. On Remembrance Day, the playing of the Last Post always makes her choke up, "I am usually wiping away the tears. It is very emotional." She has attended the service at the National War Memorial in Ottawa many times but won't be there this year. She is hoping to return next year when she is 95. Nov. 11 will have new meaning for retired captain David Rumball this year. For the last four years, Rumball brought World War II vet Jim Newell to the National Service in Ottawa. Newell passed away late last year, at the age of 91. "He was a role model, if not a hero," Rumball says from his old barracks in Peterborough, Ont. Newell joined the British Army when he was 18 and was with the Royal Marines, who went into Myanmar, also known as Burma. After a few months, he was transferred back to the U.K. in preparation for the D-Day invasion in 1944. "He helped put American troops on the landing barges out of Portsmouth," Rumball says. "So he had an indirect role in D-Day." Rumball says over the years, Newell spoke about his service, that he was wounded three times throughout the war. The last time, in March of 1945, Newell was almost killed and his best friend Scouse was killed when their company was surprised during an attack in Germany. "Jim's company put in an attack across an open field against a farmhouse... It turned out the German paratroopers held the farmhouse. The company was decimated," Rumball says. During the moment of silence at Remembrance Day services, Newell always thought about that day at the farmhouse and questioned why he survived and the rest of his comrades didn't, Rumball says. "He never found the answer. I don't think anyone could." Like so many World War II veterans, Jim Newell will be greatly missed at this year's service. Newell said he would have loved to been able to attend another ceremony. "I'd love for him to be here, but it's the way of things," says Rumball, fighting back tears. CBC News is bringing you special coverage of the Remembrance Day ceremony on Friday held at the National War Memorial in Ottawa. You can watch our special, hosted by Peter Mansbridge, starting at 10 a.m. ET on CBC News Network and live on CBCNews.ca. Listen to our CBC News Remembrance Day special hosted by Susan Bonner on CBC Radio One. This clarifies an earlier version to note that poppies are distributed freely by the Royal Canadian Legion, which accepts donations to the Poppy Fund to support serving and retired veterans and their families.